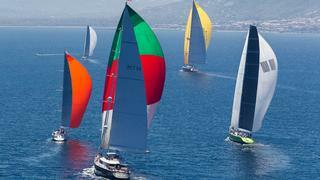 Now in it's eighth year, the Loro Piana Superyacht Regatta opens the Mediterranean superyacht season. Year-on-year the regatta attracts the world’s most notable and award winning sailing superyachts for four days of exhilarating racing. The Notice of Race for the 2016 Loro Piana Superyacht Regatta has been published. Hosted by Boat International Media in conjunction with the world-renowned Yacht Club Costa Smeralda (YCCS), the fleet will take to the glittering waters of Sardinia from 7-11 June 2016. Racing is set against the region’s spectacular coastline, with four days of breathtaking sailing in a full race programme organised by the highly experienced YCCS international race committee. With a stunning clubhouse in Porto Cervo and a reputation as one of the world's leading regatta organisers, owners and crew can expect exclusive hospitality services and the highest level of racing. The Loro Piana Superyacht Regatta, which has become a firm favourite on the Mediterranean superyacht calendar, once again looks set to kick off the season in style. Glamorous Porto Cervo provides the perfect setting for the Loro Piana Superyacht Regatta with on-the-water action accompanied by a post-race programme of social events. Superyacht owners are invited to enjoy the Loro Piana Owners' Dinner at the YCCS Clubhouse, whilst all guests are welcome to attend an elegant welcome cocktail and a beach party set on the island’s pure white sands. The event culminates in a final prize-giving ceremony in Porto Cervo’s prestigious Piazza Azzurra, which brings together owners and their skilled race crew. With a strong intake of early registrations, yacht owners who wish to participate in the event should register without delay to secure their place in the fleet and their berth at YCCS Marina. The Loro Piana Superyacht Regatta and YCCS Marina welcome sailing and motor yachts with an LOA over 80 feet.